Thank you for putting your trust and hope in me that I would make a good candidate for councillor. The past several months have been an incredible learning experience for me. Despite not being successful this time, I can also say that I have learned so much about our ward, the many challenges we face, as well as our strengths. One thing I have also gained is a deeper connection and identification with our sprawling, diverse corner of Scarborough. I have made many new friendships. 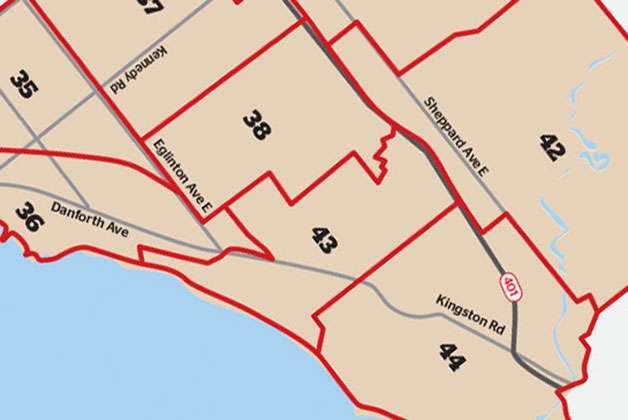 I am proud to call Ward 35 my home, and I look forward to staying active in our community. 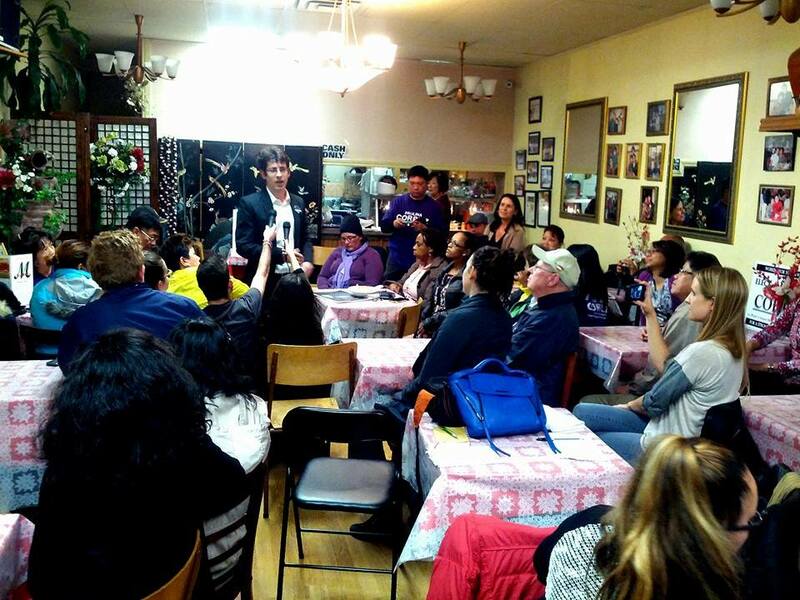 I was recently interviewed by The Toronto Observer for a feature about life on the campaign trail. In it, they describe the challenges of juggling a professional career with campaigning for City Councillor. Check it out! Thank you, Matt Elliott, for the warm endorsement! Read the rest of his guide to voting in the Toronto elections in this Metro Newspaper article. I am proud to have received the endorsement of CUPE Ontario, with my name listed alongside many great candidates for City Council. To see their full list of endorsed candidates, click here. 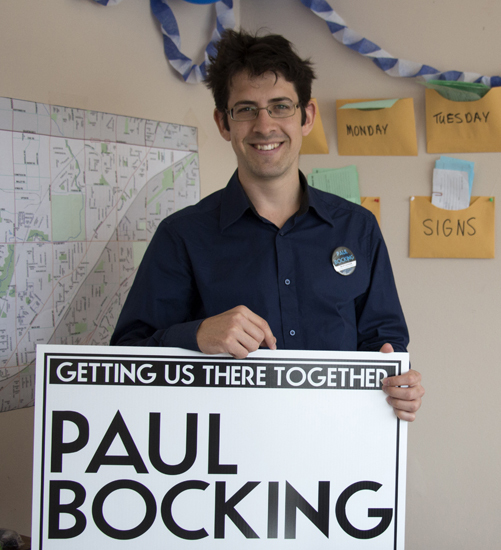 Residents could find a champion in Paul Bocking, a high school teacher and PhD candidate who wants to freeze TTC fares, improve bus service, and bring businesses back into the area’s vacant industrial lands. Read more in the complete article here. I’m very proud to have received the endorsement of the Toronto Feral Cat Coalition. I spent a lovely afternoon with the residents at Chester Village Long-Term Care Facility today, speaking about many of the policies I’m advocating — including making rent and transit more affordable for retired residents of Ward 35. After working hard all their lives, our seniors deserve the chance to enjoy their city. Speaking to residents at the Chester Village Long-Term Care Facility about issues in the ward that impact them. I’m glad we were able to catch so many residents on the Danforth this morning on their daily commute! We had some great conversations about my plans for improving public transit in Scarborough — such as freezing adult fares for four years and reducing the cost of metropasses to make it more affordable for residents to get to work every day. I’d also advocate for an increase in bus frequency along major routes, so that residents aren’t waiting out in the cold for so long every morning. This morning, for instance, we stood with commuters for nearly twenty minutes at the Danforth/Midland intersection, shivering as they waited for an already-full bus on a high-frequency route. It only gets worse in the winter. As your City Councillor, I will work hard to fix this. 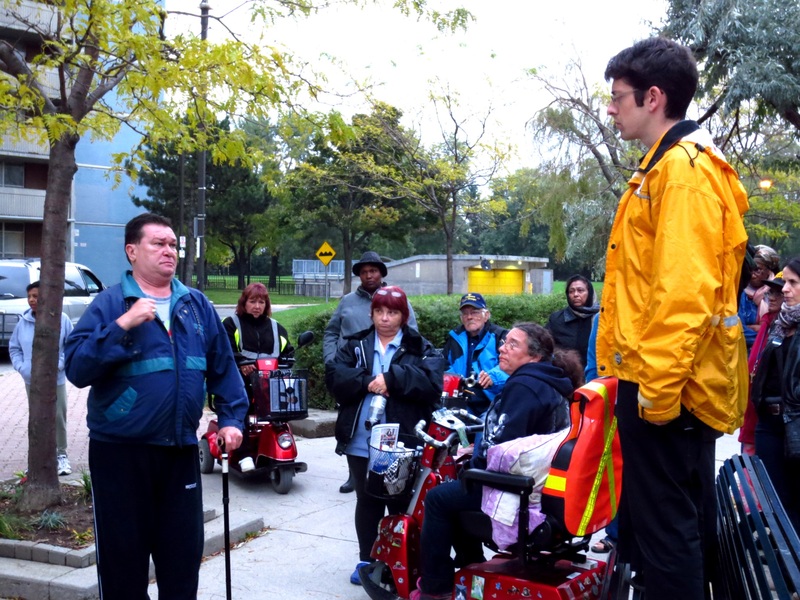 Scarborough residents deserve a more efficient transit system. For more on my public transit platform, click here.